From today Camping Kersisole has 3 stars! 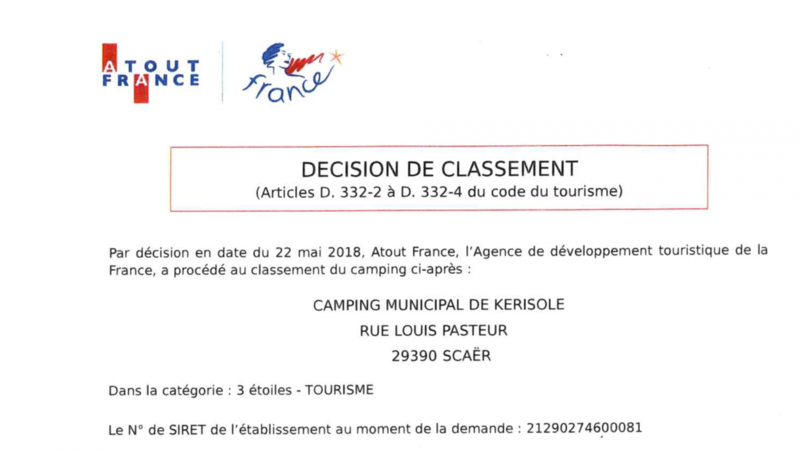 Atout France is the organisation who visits and selects all campsites and gives the stars they deserve and they decided we are worth the 3 ***. We are so proud! Well l think you are worth ***** ! It is some years that we stayed for several weeks ,it was in May /June and only a few pitches occupied ,We had a wonderful holiday in our motor camper ,Manuel was then in charge ,spoke excellent English ,made us very welcome and was very helpful to us English speaking Welsh folk !